Home › Business Relationships › Praise, and then what?? Perks that keep debt collectors happy on the job. Praise, and then what?? Perks that keep debt collectors happy on the job. Last week we wrote about the value of sincere praise. But considering that no one, except maybe the offspring of a debt collector, says they want to grow up to be one, what gets people to accept a job in the industry—from an attorneys to call a center collector—before they’ve even heard those motivating words of praise? And then, besides the fact that it really is a vital, important and interesting industry in which to work, what encourages people to stay put? At The National List, we have attorney members who have worked in the industry for 20 years or more. Many of our clients have made a career out of being third-party collectors. On the lighter side, a casual dress code, except while in court or meeting with clients, or even one casual-dress day a week can make some people happier to come to work. Music in the background, with the right to choose the type of music or artist based on some type of performance by an individual or a team, can help to set a positive mood. On the collection floor, studies have proved that non-cash rewards, such as points, can be just as motivating, if not more so, than cash bonuses. Creating a team-focused environment, with competition between groups who may be assigned to different types of accounts and with recognition for goals reached, can be highly motivational. The best collection floor managers can give you a whole list of competitions and rewards with little or no monetary value, for example, prizes inside of balloons that get to be popped and points for in-house-store merchandise. 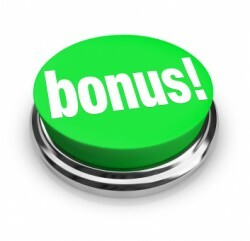 The motivational value of non-cash rewards crosses job descriptions as well as earning levels. A study conducted by Dr. Ran Kivetz of Columbia University suggests that non-cash can do better than cash at prompting participation in an activity. In the study, subjects received $2.00 as they entered a room. They were then instructed that they could take their $2.00 and leave, or put their name on a piece of paper, attach it to the $2.00 and put it in a lottery/drawing. When the lottery prize was $200, 35% kept the $2.00. When it was a Gourmet Dinner with a $200 value, only 15% kept their $2.00. It was determined that participants felt they would spend the cash prize on something mundane, like bills, but that they would be sure to receive personal pleasure from winning the dinner. Medical receivables collector Allied Business Services Inc. was named one of the top 31 Best Places to Work in Collections for 2012 by insideArm. Allied reported that they strives to create a great work environment in a variety of ways, from holding lively morning meetings with dance music to providing a staff lounge with computers for personal use and a meditation room with vibrating message chairs. They also provide a catered lunch on Wednesdays for the entire staff. Client relations agent Cheryl Garvelink said, “What we do can be difficult, and the company puts a lot of energy into giving us recognition and making sure we are in the loop of what is happening. The whole atmosphere here is upbeat and encouraging.” One of those upbeat and encouraging activities is a “Wheel of Fortune” type wheel with cash cards and company incentive bonuses that people who reach weekly and monthly goals can spin for prizes. As reported on InsideARM, The Monterey Business Council on Aug. 24, 2012, recognized Credit Consulting Services, Inc. (CCS) as one of five companies in its Fourth Annual Monterey County “Best Places to Work” program. CCS holds regular employee recognition meetings, where employees earn company tokens that are redeemed towards company logo wear. Employees are provided an opportunity to share their ideas and opinions by completing employee engagement surveys and participating in group meetings for best ideas. Because different perks motivate different people, it’s a good idea to ask your people what kinds of perks are important to them, or tell your boss what would make you happier on the job. Who knows, you might just get it! ‹ Praise that Improves Performance: Could it make your business more successful?